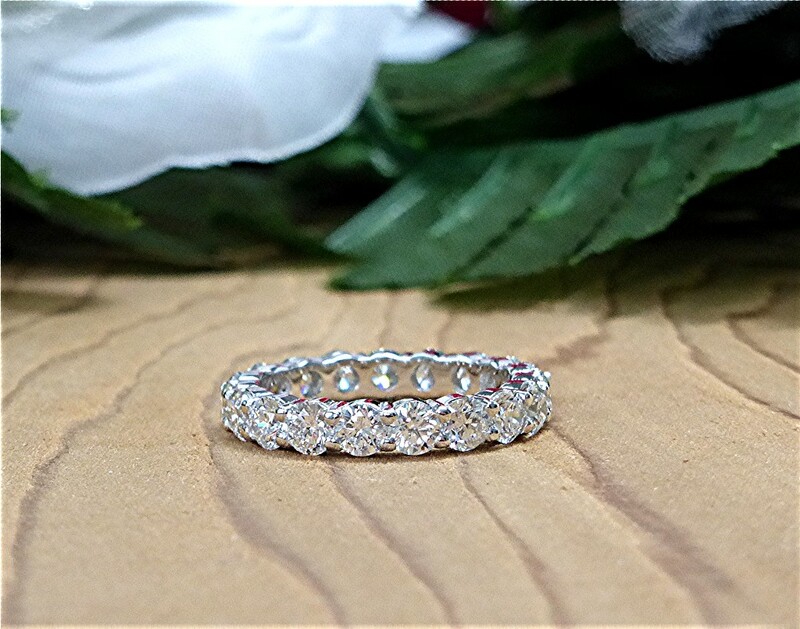 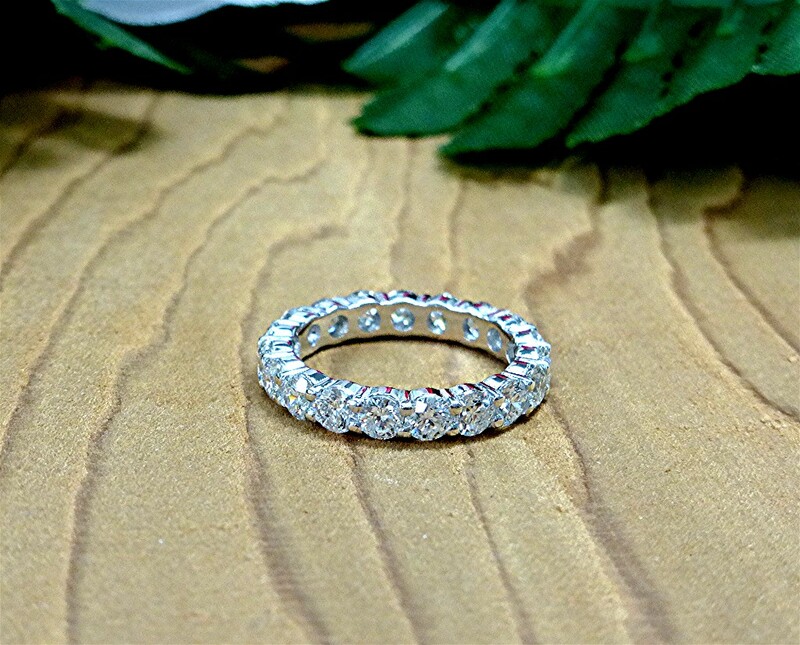 Eternity band shared prong, made in platinum and 19 RBC diamonds each 3.2mm F/G color, VVS TDW 2.51 carat total diamond weight. Custom made wide split shank semi mount with scalloped halo in the center. 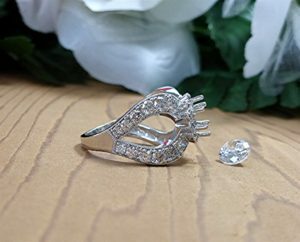 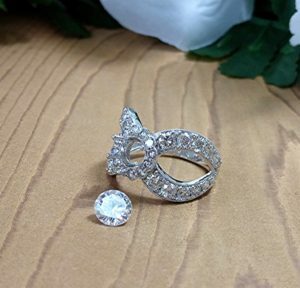 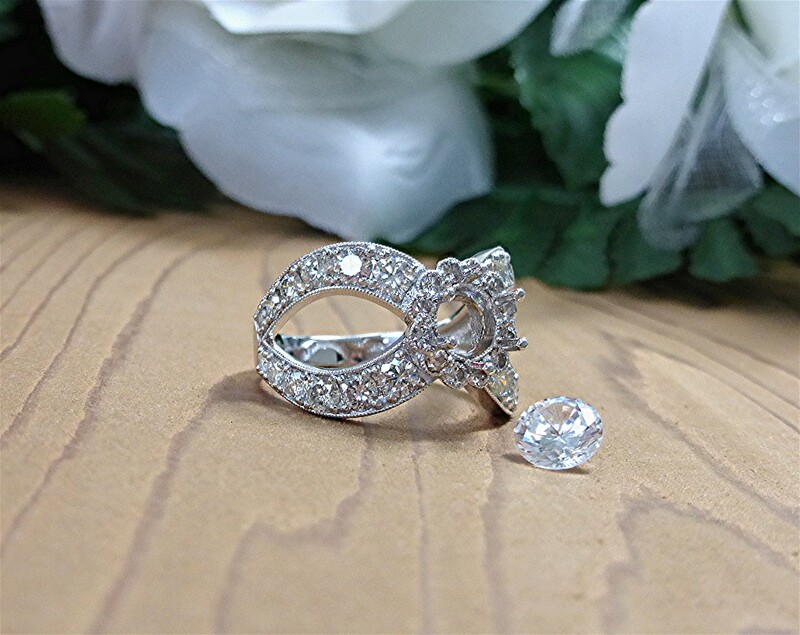 Used 36 round brilliant cut diamond bead set with mill grained edges total diamond weight is 2.14ct. , Made in 14k white gold.